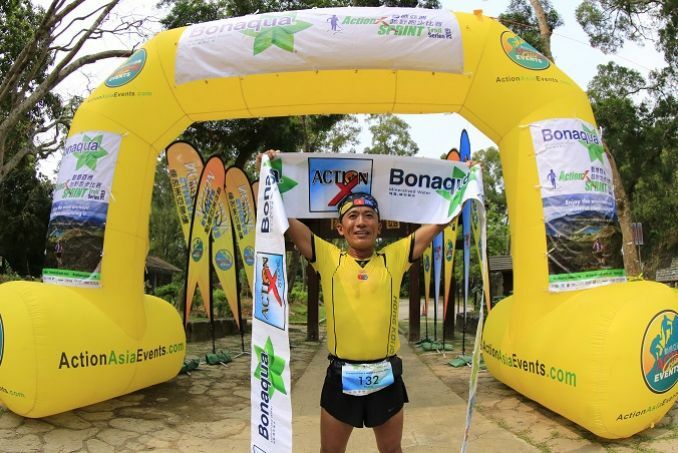 HONG KONG, Sunday, April 7, 2019 – Nepal’s Yamanath Limbu came from behind in the mountain section and pushed hard to get by some of the race favorites to fly on the technical downhill at the Bonaqua Action X Sprint Sai Kung 13km to place top of the podium as overall champion in a time of 1 hour 5 minutes 5 seconds (1:05:05), now in its 17th year of running. Hong Kong’s Nicole Lau took the overall Women’s title in 1:20:14. 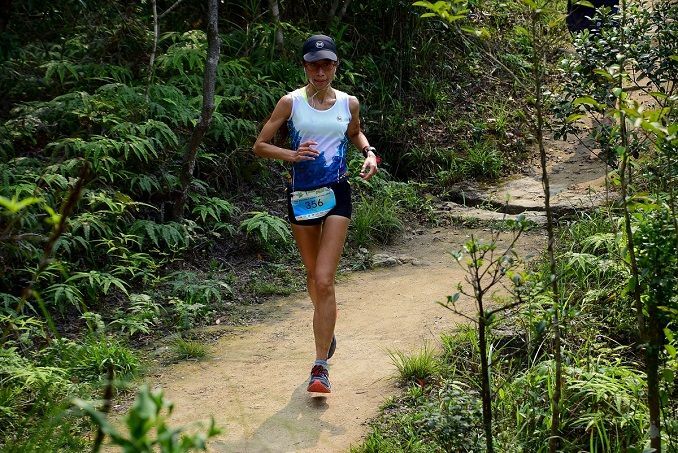 Temperatures skyrocketed after the 9am start forcing many runners to think hard about going too fast at the classic Bonaqua Action X SPRINT Trail race now in it’s 17th year of running in Hong Kong by Action Asia Events. First runner up in the Men’s category was Swiss national Thomas Alder, finishing in 1:07:26. Alder grew up in Hong Kong and abroad studying in London. “I came here to visit my parents because I grew up here. I play football, but I’ve always wanted to do trail running so here I am doing my first trail running race.” Despite not having any experience in trail running, Alder’s cardio showed he could keep up with elites. “I used to run quite a lot in the mountains of Switzerland, but nothing competitive. Today’s Bonaqua scenery as great as enjoyed a lot” Alder said. 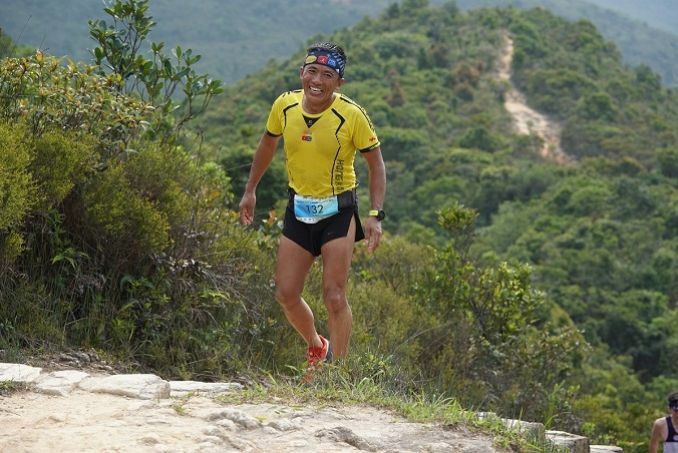 The race flagged off at 9am with participants first running 5km through country park road towards Sai Wan, then tackling around 6km of off-road trails that included a mix of technical track, a river gorge to cross and stone stairs up and down to the lower sections of Pak Tam Road where the final 2km was a sprint on road back to Pak Tam Chung as same place they started for almost 13km of challenging fun. The course was designed to suit runners of all abilities as well as fast hikers. The Bonaqua Action X SPRINT Trail Series is now in it’s 17th year of running with the first edition in 2003. 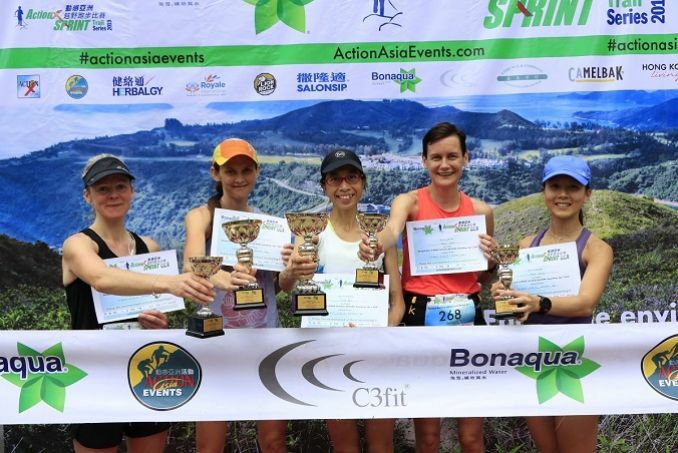 Action Asia Events is dedicated to creating diversified and challenging routes, and giving runners the opportunity to set foot on less-trodden trails and explore the suburbs away from the concrete jungle of Hong Kong. The event is possible due to the generous support of presenting sponsors Bonaqua and Action X Store with supporting partners: Royale International, Lion Rock Brewery, C3fit, Herbalgy, Salonsip, Lorence & Company and HK Living Magazine.